On April 29th 2016, Western Arkansas was hit a by a devastating hail storm. The storm blew thru the area within a few minutes and nailed our garden with golf ball hail stones. Our spring garden was damaged along with our seedlings. Our tomatoes took the brunt of the damage and hopefully they will come back. Mother nature can be a bit of a unforgiving force. Our latest garden channel trailer for the year 2016 on Youtube. During the winter of 2014, the U.S.A was hit with a strange weather phenomenon called the Polar Vortex. The polar vortex has dropped temperature in the US to -60C. 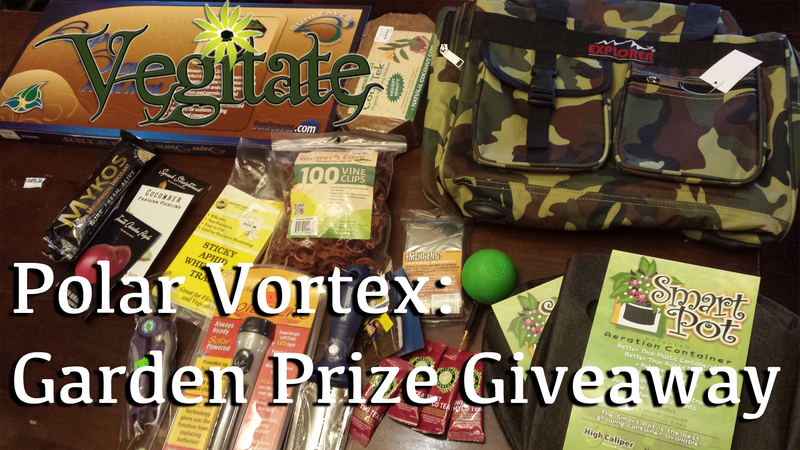 So in honor of the Polar Vortex and for reaching 500 subscribers vegitate is having a prize giveaway. Hopefully this Polar giveaway contest will get fellow gardeners in the mood for their spring gardens. 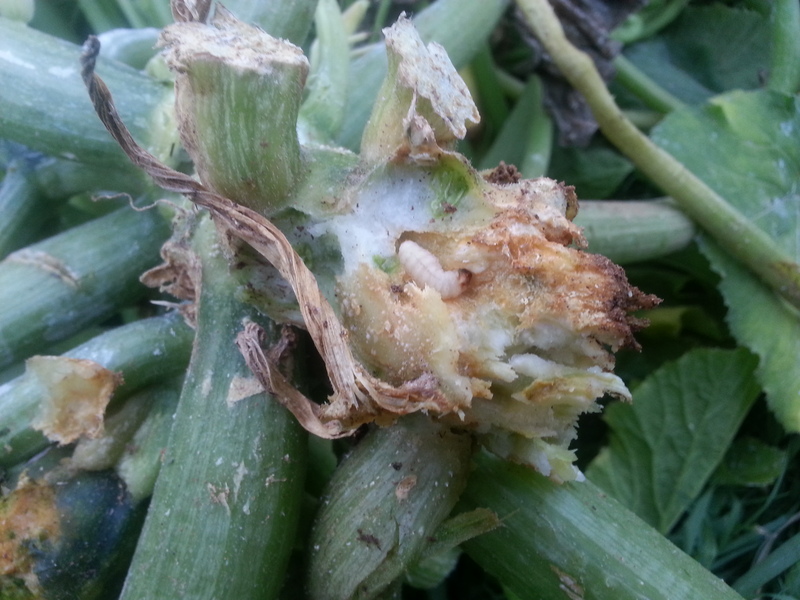 I notice that my squash plants have been kind of weak looking and starting to die out. The great garden pest known as the squash vine borer, aka Melittia cucurbitae, has done the death dance on my zucchini plants. I was like well they win again this year but at least we can have fun at their expense. Hence the Death Race 2000. We will reseed some new squash seeds in the same area after tilling in the soil and hopefully have a fall crop. We use a old electric toothbrush to help self pollinate our pepper and tomato plants. Pepper and Tomato blooms have both the male and female parts which are the stamen and stigma. By using the electric toothbrush it helps release the seed or pollen in the stamen thru ultrasonic vibration. This is a super easy method to help get every bloom the ability to produce the fruit that will help you get a bumper crop this harvest. Well it has been a couple of weeks since I put out my last video. And I was thinking about these 4 potatoes sitting my kitchen window that needed to moved to the trash or composted. I was going to head to Wally World and pick up some nylon bags to make some grow bags but instead I thought if I took 4 Revolutionary Planters and zipped tied them together I could make the perfect growing potato setup. Please comment, share and subscribe. Today we discuss the importance of picking and purchasing high quality tools for your garden. When you purchase inexpensive be forwarned that you will probably have to buy them again the following season. By doing your homework and little research online you can find gardening reviews for the right tools for the job. In the end don’t buy cheap, buy quality and your gardening season will have less hiccups.